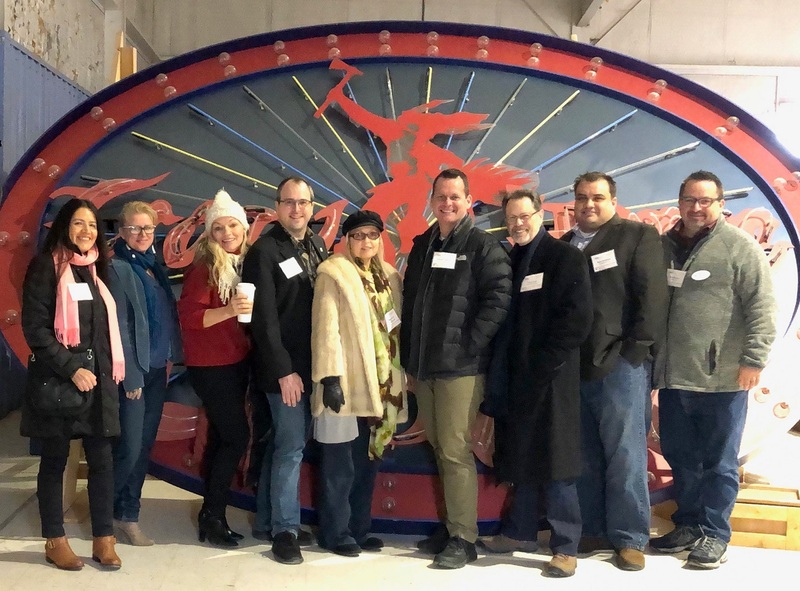 In what has become established as an annual holiday tradition, members of the Themed Entertainment Association (TEA) Europe & Middle East Division (TEA EME) met in London for the 2018 Festive London Day Out on Thursday, December 13. And once again this year, many donned Christmas “jumpers” as part of the TEA's transatlantic Ugly Sweater Contest. There were three stops on the seasonal get-together in the British capital, including an escape room, cocktail bar and the ever-popular Hyde Park Winter Wonderland. The first was Cluequest, just a 10-minute stroll from King's Cross station (or is it Diagon Alley?) When it opened in 2013, the escape room attraction was only the second of its kind in the UK. Now there are over 400. Cluequest's creators aim to stay one step ahead of the competition with a choice of four themed “missions” and a key eye for detail. Reportedly, over the past five years, some 250,000 players have enjoyed the fun challenges and it has earned high TripAdvisor ratings. The TEA visitors enjoyed it too – even those who got locked in! The escape room experience was a great way for members old and new to break the ice. Soon afterwards, we had ice in our glasses as the party arrived at Simmons Bar for mid-afternoon cocktails (why not, it's Christmas!) 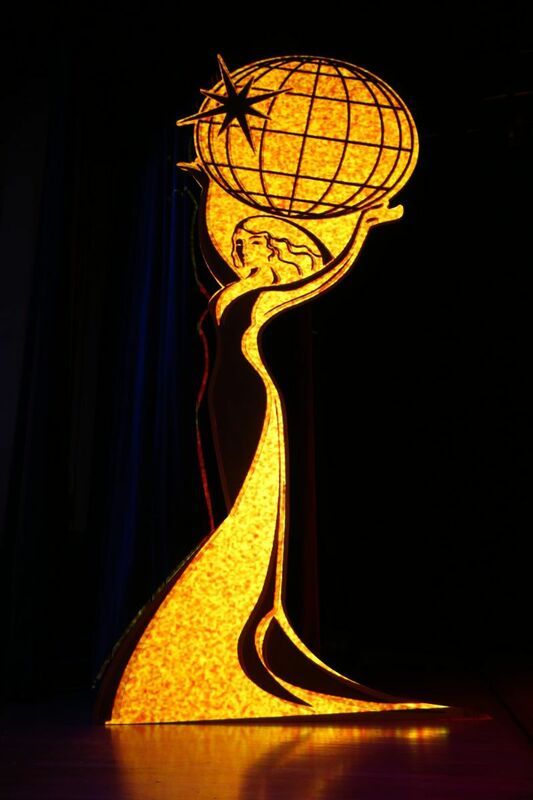 courtesy of The Deluxe Group – one of the day's sponsors alongside Christie and Eagle Vision Entertainment Studio. Deluxe's Richard Hill had scouted out the venue a few weeks previously and it proved to be a quirky, cosy spot to enjoy drinks and a catch-up with industry colleagues. Because who doesn't enjoy sipping Long Island Iced Tea from a teapot? The final port of call was Winter Wonderland at Hyde Park. 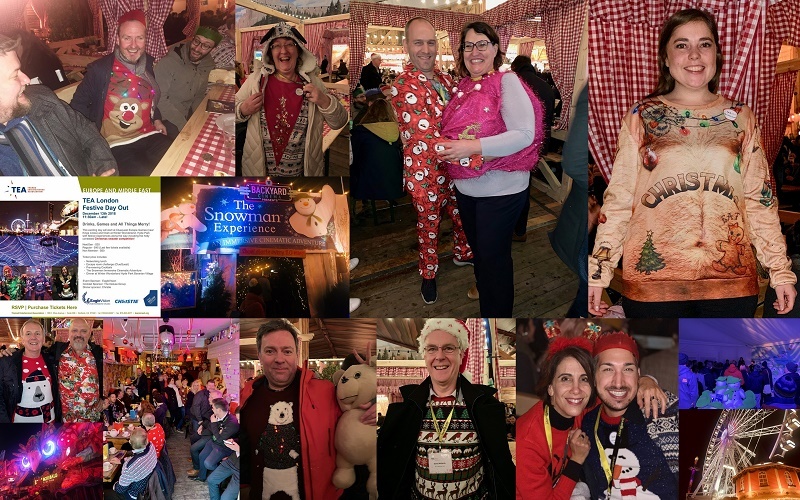 Part fairground/part Oktoberfest/part Christmas market – and full of seasonal cheer – this “pop-up theme park” continues to entertain millions of Londoners and tourists each festive season, and has been part of the TEA's London Day out itinerary for the past three winters. Not only did we enjoy dinner in the Bavarian Village (thanks Christie), but also sat in on Backyard Cinema's The Snowman Experience. After a welcome from Suzy Griffiths, events director at Winter Wonderland organizer IMG Events, founder Dominic Davies explained the "Backyard Cinema concept" underlying The Snowman Experience, his company's first project with an officially licensed IP, adding a new layer to an animated movie that has been entertaining British families for the past 40 years – including a meet-and-greet with the Snowman himself. In an industry that's filled with the young at heart, it's fair to say more than one TEA member was transported back to their childhood. 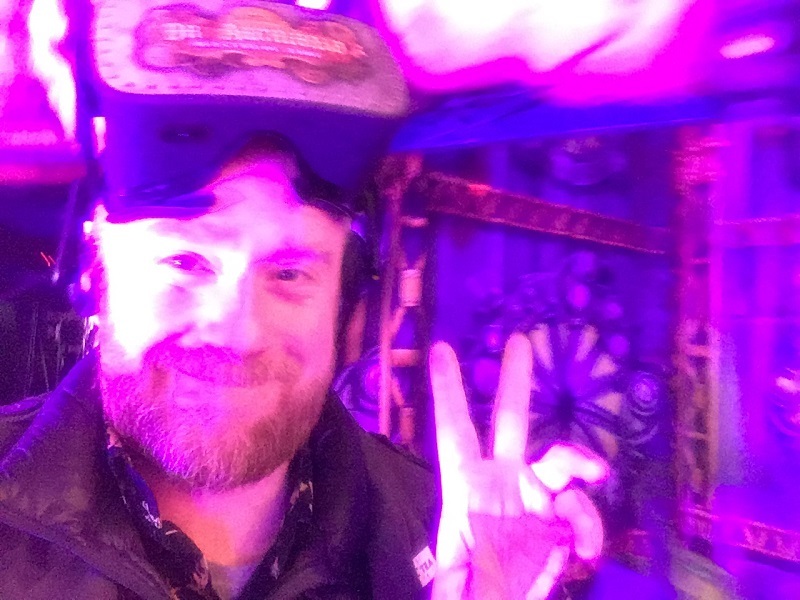 Courtesy of Bavarian Village owner Patrick Greier, Day Out attendees were also offered a ride on his new VR dark ride, Dr Archibald. Featuring a striking themed facade, the attraction was built by Patrick and his team using the shell of an old ghost train. But what about the Ugly Sweater Contest? Some members arrived wearing their Christmas jumpers, others changed into costume during the day. Cynthia Vergon of InFact Global has high hopes. In 2017, when the TEA EME Division entered the fray and the TEA Ugly Sweater Competition became international, her “bad taste Rudolph” knitted creation was deemed the ugliest of all, beating out competitors in the States. This year, the TEA Eastern North America Division also expanded its Ugly Sweater front with competitive festive gatherings in Chicago (Dec 5) and New York (Dec 13) as well as the original, main location, Orlando (Dec 18). Will anyone Stateside be able to beat Cynthia's big red bauble outfit of 2018? Given that London actually has a winter climate deserving of a thick sweater, in this writer's opinion it seems only fair the TEA EME division should hold onto the title - but stay tuned for the results, which will be reported in the New Year. 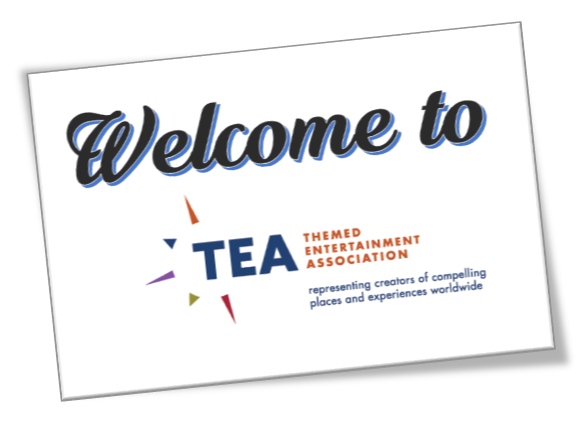 In addition to the event's sponsors and those already mentioned, credit for planning behind the scenes should go to TEA EME Division Board President Matt Barton (7thSense Design) and TEA EME Board members Danielle Tanton and Margreet Papamichael. Images courtesy of Cluequest, Matt Barton, Owen Ralph & others. Click to see full photo album. Thanks to Owen Ralph (Blooloop) for this report.